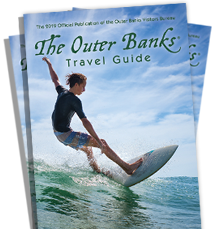 Hatteras Island National Seashore and the Pamlico Sound provide a great many locations for surf fishing, light tackle sound fishing, photography, bird watching, shelling, clamming, eco-exploring, beach driving, sunset tours, and much more. Captain Lee with Hatteras Adventure will help you custom plan a day to include what interests you the most! Captain Lee loves to teach! His clamming and fishing clinics are for beginners and for those who wish to advance their skills. Adventures can be planned for individuals, groups and/or families. We are kid friendly! Escape the crowds when you journey to this unspoiled ecological playground and create memories to last a lifetime! Captain Lee provides each adventure with either his Go Fish 4X4 GMC Yukon XL or The Daybreak II, a 2012 Carolina Skiff Ultra Elite. Our goals for each trip include: safety, fun, education, skill building, nature, and most importantly, amazing memories. There is ample parking and easy access for boarding the boat. Captain Lee is committed to making each adventure complete and he provides rods, tackle, bait ice, cooler, professional clam rakes, and drinking water. Customers may bring their own food and drink. You may book adventures for a few hours to a full-day of excitement and fun. So kick back and we will take care of the hassle while you enjoy the best service that Hatteras Island has to offer.